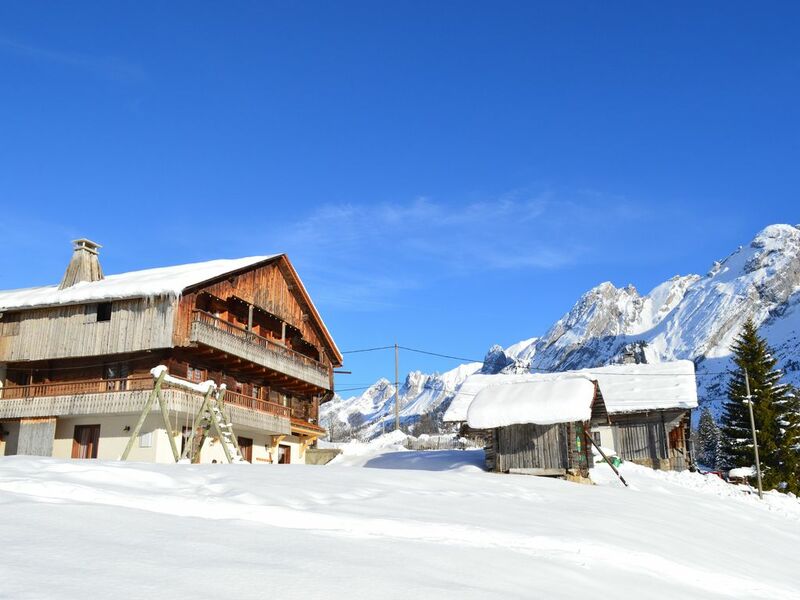 In a typical Aravis farm, Montana offers a possibility of accommodation for 6 to 10 people. Access of full foot on the terrace with a sunny garden (swing). Upstairs, there are three bedrooms with toilets and independent bathrooms (1 bath, 2 showers). Each room has a south-facing balcony with views of the Aravis range. For sleeping, duvets and pillows are provided. You must bring your covers / sheets and towels. The cottage is located 3km from the village center, free shuttles serve the whole resort (frequency every 20 minutes). You will be accommodated at 500m. lifts of BALME and FERNUY, by good snow you will be able to put skis at 200m. from the chalet. For lovers of cross-country skiing and hiking, there is the possibility of accessing the various trails from the chalet. The cottage is on a farm in operation, you have the opportunity to attend the production of Reblochon farmer. During the day, we also offer snows on snow with the horses of the farm (half hour journey). We will be happy to welcome you, do not hesitate to contact us for more information. You can ask what do the cleaning on departure for a fee of 50 euros. Southern exposure facing the Aravis. 500m from the ski lifts and Fernuy Balme. The cross-country ski trails. Les départs et arrivés se font généralement le samedi, possibilité de s'arranger au cas par cas. Des hébergements nuitées ou week end peuvent être étudiés. Une taxe de séjour est à verser à la régie des recettes de la mairie de la clusaz (0.75 euro par nuit par personne). Hors vacances,si vous êtes moins de 10personnes, demandez un tarif personnalisé. Je souhaite que vous me contactiez par mail ou par téléphone avant de procéder à une réservation.